Our fixtures for February have now been announced and three league fixtures can now be pencilled into your 2018 Pollok Calendar. On February 3rd, we’ll welcome Auchinleck Talbot to Newlandsfield in what will be our first league encounter with them this season. 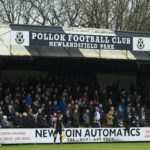 The game has a 2pm kick off which will leave you a couple of hours afterwards to don your kilts for the Pollok FC Ceilidh which takes place that evening in Loks Bar and Kitchen. Tickets for the ceilidh will be on sale at home matches over the next month. The Lok then travel to newly promoted Girvan on February 10th before welcoming current league and cup double winners Glenafton on Saturday February 24th. 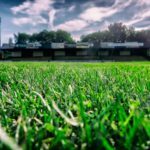 All February fixtures are scheduled for 2pm kick offs.